I suppose we are all guilty of being hard on ourselves at some point in our life. Some of us are quick to overlook certain aspects of other people’s personality or habits but harsh on our own ability or weaknesses. There are times where this becomes overpowering and soul destroying. There are so many of us who go to extremes because we don’t feel “good enough” or unable to cope because we put such high expectations on ourselves. Why is the reason for this? Society, peer pressure or upbringing? I am sure it differs from one person to the other. I was reminded of this, recently when I jumped into a taxi on my way to the monthly development circle. The taxi man was a young Asian guy who had Rag & Bone man’s song, Human playing in the background. I don’t always chat to taxi drivers unless they start the conversation, mainly because I am usually wrapped up in my own thoughts. I have always used time in taxis as thinking time. This stems from my time as a journalist in Malaysia where I would formulate my story in my head and go through my notes on my way to the newsdesk. However this time, I really had the urge to speak to this young man. It was as if someone wanted me to speak to him. So I said “Is that Rag ‘n’ Bone man? Knowing fully well it was. He said “Oh who is that….you mean the song? Yes, I said and we got into a conversation about the meaning of the song. It became clear to me during our short conversation that this was a message he needed to hear – that he shouldn’t be too hard on himself and he can’t please everyone. There was a vulnerability about him and who knows, this pressure on his shoulders could have led to emotional strain. We were laughing as the taxi pulled up at the venue and said our goodbyes. He was smiling and grinning from ear to ear, and so was I.
I shared this moment with the circle members and it was funny how the theme repeated itself throughout the meditation and inspired speaking. As one of them said during inspired speaking …tick tock….. you can move forward not back in time. So don’t feel guilty for what has been but move into the future because there is no going back. Today as I said down to write this guidance, the song that came up on my playlist was Human. I felt that my guide, an old Indian sage popped it into my head so I could write about this today. So my dear friends, be clear about what you actually want in life, what is important and prioritise. We can sometimes go through life being upset by small things but overlook the things you ought to be worried about. Use this time to filter through your worries and reassess what you want so your next steps will be clear. Remember, we are “only human after all” with flaws and totally imperfect. That is the beauty of our existence. Every day we live is a learning lesson and a step forward. So what is a supermoon? 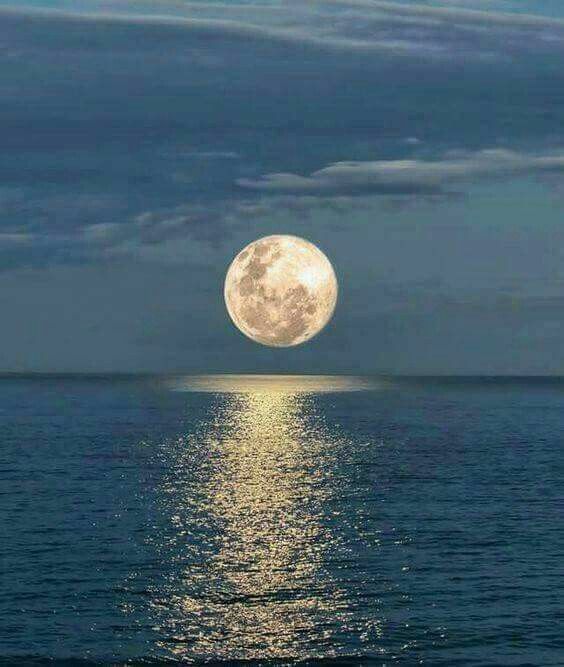 According to Wiki – a supermoon is the coincidence of a full moon or a new moon with the closest approach the Moon makes to the Earth on its elliptical orbit, resulting in the largest apparent size of the lunar disk as seen from Earth. 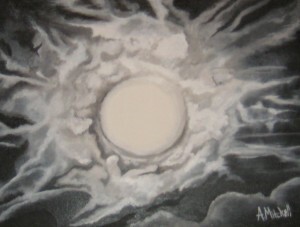 From a spiritual and energy context, it is a time when energy is magnified. Some bring transformation that can be life changing and others, brings things up to the surface which may be difficult to deal with. We are going to feel a little sandwiched and caught in the middle emotionally and energy. There is a good reason for it as there is another super “new moon” in June. So there will be things popping up this week, good or bad which will be released or completed in June’s super “new moon” on the 24th. We will get clarity on June 9th’s full “Micro” moon and it intensity will ease off. How do you survive the energy until then? You will be prodded and buttons will be pushed. This is a very transformational time so even if things are a little up in the air, trust that it is happening for your highest good. Pay attention to what is happening around you and what is the universe trying to say to you? Our soul knows what is ahead and will guide us to where we need to be. Each and everyone of us have a blueprint of our very existence which is accessed by our soul and our creators. Every step we take makes one part of the puzzle fall into place. It is frustrating but the mysteries of life and death is determined by the laws of Spirit, which we don’t full understand. Just to summarise, enjoy the here and now, look beyond the pettiness of life because there is a bigger picture for us to enjoy. Stand firm in your convictions, don’t feel you need to over stretch yourself to please people and look after yourself. When you are drained and depleted, there is no way you can help anyone. Most importantly say yes to the right things – opportunities, ideas and projects. Follow my Moon Ritual tonight to take advantage of this amazing energy and cleanse your aura and home. On Monday, we will witness a spectacular sight on our skies. The moon will be bigger and brighter than it has ever been in 60 years. 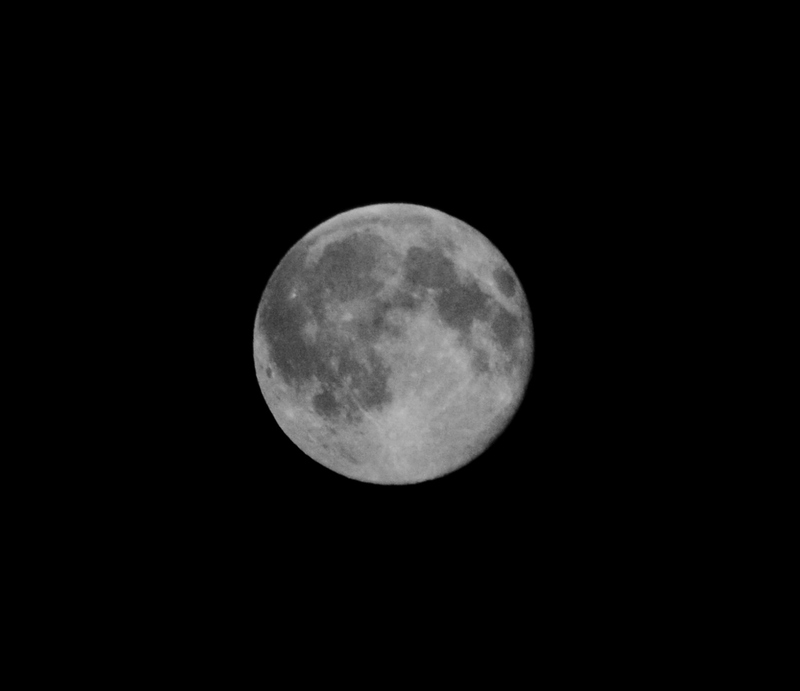 It is called “perigee full moon” because it’s the closest to earth on its orbit. The moon hasn’t been this close to earth since 1948! The weather is so unpredictable in the UK so I am hoping we will be able to see it. As this week unfolded, the energy levels heightened and then crashed on November 8. The US election result was on 8/11/2016. If we total the numbers – 8 +1+1+2+0+1+6 = 1. the number one is about new beginnings and moving forward. Without being too political, Trump signaled change and a clean slate as far as the presidency is concerned. You can say that Clinton represented a known entity as being Secretary of State and a former First Lady. I do not foresee Trump staying in power for long. The next eight months will be interesting for America and the world in general. Fear … what are you holding on to? This made me think about how we go around expecting one thing but totally blindsided by certain things that are out of our control. We fear the unknown because its unfamiliar. I feel the universe is trying to expand our consciousness and teach us a lesson in being open to the unexpected. The rules of engagement have changed. So, don’t expect normal and easy. Just trust that its happening for a good reason and be open to change. Don’t hold to fear as it will manifest negatively in all aspects of your life. Have you been seeing numbers – 11, 222, 444? A lot of people have been in touch to say they are seeing 11, 44, or even 22 these last two weeks. The repeating numbers of sequences to do with “1” indicates a new beginning, so if you have been resisting change, take a step back and consider what you need to change to move forward. Some people go through huge life changes when they keep seeing the master number “1111” which is a wakeup call from the divine. 2016 has seen numerous relationship breakups which at first sounds like a bad thing. However, if you believe in the saying “something’s gotta give” then it makes sense people will either try to make it work or end it. When something is broke, no matter how much you try to hide it, the problems will always rise to the surface until you have to face it! As someone who has gone through divorce and the nastiness beforehand, I can safely say that it was the best thing that happened to me! At that time, I felt my life had ended but now I know my life had just begun at that point. If you keep seeing no 4, this is time for you to put your skills to the test. You are being reminded that the solution is in your hands, take responsibility for your life and act. It also indicates that to succeed, you need to improve your organisation skills and be more practical. Meanwhile the number two is about patience, going the distance and to beware of your communication skills. Be flexible and open to other people’s ideas. I know the energy this week has been tough. People have had trouble sleeping, issues cropping up and wrapped in fear. The theme is change and the issue is fear of the unknown. There are plenty of triggers from not being able to see the future to feeling a little lost. People are super sensitive and upset now so some of them off loading their negativity into their online communications. Time to take a step back and detox from technology. Focus instead on people who love you and spending time with them. Put your energy into what you WANT rather than what you DON’T want. Remember that manifesting is like having a mirror in front of you. It can’t ascertain if what you are manifesting is positive or negative. It tries to make it happen either way. So, if you are constantly negative and nothing is working out, then be mindful of your language and thoughts. If you constantly say “what is the point” ” it won’t happen” “why bother” ‘I’ll always be poor” then that is what will happen. Pull yourself out of your situation by focusing on what could happen and then make it happen. The most successful people in the world like Oprah who was poor, abused and had no hope did. Look at her now. If she stayed in that place of darkness and pain then she would not be the inspiration she is to millions. So this is your reminder to put your positive hat on and do my Moon Ritual.You can do it tonight or on Monday evening. The moon effect is felt in our space the day before and up to the day after the full moon. I truly hope this full moon will bring you all that you wish for. As always if you like what you have read then please do share with your friends and family. You never know who needs guidance. 7 Things you must do this New Moon! Deepavali is the time of enlightenment, love, family, friendship and happiness. It is also a very sparkly and bright time as people will be wearing very colourful and shiny clothes, tables heaving with delicious food, fireworks and light lamps everywhere. 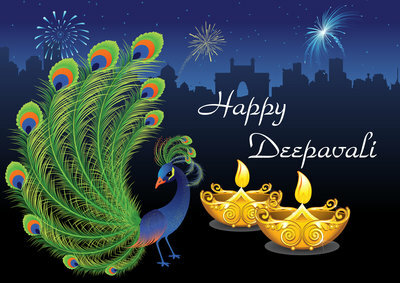 It is called the “Festival of Lights” (Deepa means lamp/light and vali means the path or in some interpretations, row). This year it falls on Sunday, October 30th, 2016. Deepavali is the celebration of light over darkness. A time to rejoice as good has won over evil. Houses are cleaned, things thrown or given away, sweets and special food made, invitations sent out, prayers and rituals observed. So what is the myth or history as to why this wonderful festival the highlight of the Hindu calendar? One of the main legend behind the celebration is the Return of Sri Ram To Ayodhya. The prince of Ayodhya , Lord Sri Ram’s wife Sita was kidnapped by the evil King of Lamka, Ravana. Like any loving husband, he tried o free his wife. This turned into a full fledged war but Sri Ram and his supporters managed to save his wife and defeat the evil King. When they made their way back to Ayodhya, exhausted but relieved, they were greeted by a show of support and love by their subjects. All the houses were light and little diyas (earthen light lamps) lined the path into the kingdom. The love of Sita and Ram is legendary and the people showered them with love, light and flowers to welcome them back. Deepavali is also the incarnation of the Goddess Lakshmi which falls on the new moon day ( Oct 30th). She is the Goddess of prosperity and brings with her moon energy. She apparently appeared during tussle between the demons and the Gods above the sea, causing deep unrest in the tides and fear in the people around. Her incarnation brought peace, harmony and good news to earth. Today she is worshiped by Hindus and even those who may not know of her significance, as the Goddess to pray for wealth and feminine energy. Lakshmi is traditionally worshiped through a special “puja” on the day of Deepavali. People tend to leave sweets and flowers around her pictures or statue and ask to be blessed with wealth and happiness for the coming year. Narakasura stopped Satyabama, ‘No mother! 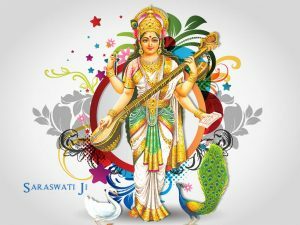 You are not responsible for my choices…I chose wrongly and you fought me for what you believed as right…You have done the right thing…I am glad to call you my mother…’ Narakasura breathed his last…. That all sounds great but what does this mean to us in a more spiritual context? Remember the New Moon is always the start of the “letting go” process and by the full moon, little by little, we will have these different elements to our lives – people, personality traits, behaviour, old belief patterns, trauma, anger, unhappy memories, pain and even grief that no longer serves purpose in our lives, become clearer and ready to let go. Everything is supercharged this weekend. Your clarity and vision is enhanced so you will have a clearer list of things you need to release and a definite idea of what you NEED in your life. Goddess Lakshmi is a manifesting enabler but she doesn’t discriminate. So if your thoughts are full of anger, hate and negativity then so be it. You will be unconsciously manifesting it if you are constantly thinking it. Keep your mind full of positive and enthusiastic future thoughts and this will be your manifesting pledge to the universe. 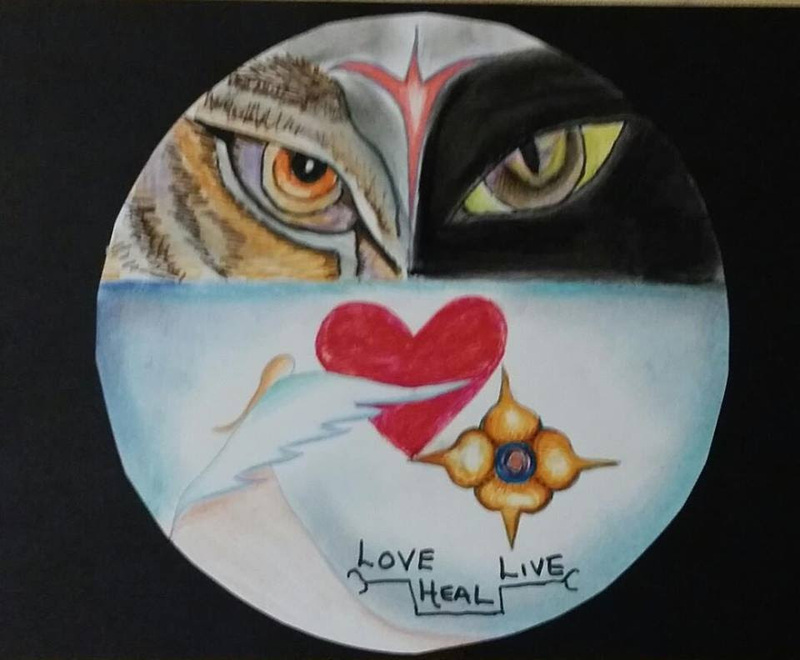 The significance of Good over Evil, Light over Darkness — this relates to all of us and spiritually speaking, it is a reminder that whatever your circumstances, light and good is possible. Don’t let your circumstances NOW determine your LATER. It is very easy to fall into the very human trap of staying in your comfort zone. If you are in a bad place, it is also a “comfortable” place and so many of us find it easier to stay there because we fear the unknown. As someone who has dealt with depression and trauma for most of my life, I have struggled so much between light and dark. Yes, there were times when I stayed in the dark but I scrambled out in search of the light as I always knew there was a better place. The one thing that has made me stronger and wanting to live another day is HOPE. How do we take advantage of the amazing gift that is being showered into our very existence this weekend and the week after? What can we do to ensure that we release, shed and walk into the light? Leaving behind all that no longer serves us? Entering the realm of a positive live, motivation, happiness and wealth? Forgiveness – When you forgive, you let go and release the cords that are attached to you. It may feel that the other person(s) have won but in reality it is you that is winning as you no longer allow them to influence your thinking, how you feel and what you do. Circle of Love – be with people who make you happy and smile. Be very conscious of how people make you feel. Ask yourself after spending time with someone or a group of people “how do I feel? Happy, drained, angry, sad, belittled? Change who you spend time with. Be uplifted, happy, smile and joyful – not judged, angry, sad or down. Meditate – Calm that busy mind of yours with some relaxing music, incense and connect with your inner self. Moon ritual – Make some time to do my special moon ritual which takes only a few minutes to do but you will be surprised at the results if you keep at it and believe in it! Get your free copy here. Goddess prayer – If you have an altar then leave some sweets and flowers for Goddess Lakshmi. You can print off a photo from the internet and use it as your focus. You can also play this chant which gives me goose bumps everything I listen to it as you do your Moon Ritual and chant along with the lady as you go about smudging and cleansing the house. Say this Lakshmi Gayathri mantra with an open heart and full of love. Imagine that you have this opportunity to speak to her direct and ask her for a happier and prosperous life. Believe it or not, but these mantras were not accessible to common people in India for many centuries as it was a huge secret among the the royals and those close to them. So we are indeed very lucky that this is all available to us so easily. 6. Keep your thoughts positive – When you think of what you want in your life – be positive about it. Just because things haven’t worked out now doesn’t mean it will stay the same. So focus on what you need in your life and believe that it WILL come through! 7.Connect with Mother Earth – whether you go out for a walk in nature, perhaps live close to a beach (or on holiday near one!) or just go out t the garden and walk barefoot on the grass – get close to Mother Nature. Moon energy is radiating this weekend. Get connected! Happy Diwali, Deepavali, New Moon and Happy Manifesting! If you like others I have been speaking to, been experiencing vivid dreams, extraordinary conversations during dream time or waking up at odd times in the night between 4am and 5am, then you are feeling the energy of the Snow Moon which will be fully realised tomorrow Feb 22) evening. While my dreams were perplexing and intense, I dug a little deeper and found subtle messages in them. Some of them amazed me and others left me a little bemused. I kept waking up at a particular time last week and it hit me this may be a another sign/message or code. I checked Angels numbers relating to the numbers and the message was as clear as mud for my present situation. Never underestimate the power of dreams and the energy of the moon. In ancient times, the Sun and the Moon highly influenced how man lived, from agriculture, to marriage to even how they lived. Many of the old names of the Full Moons relates to how life was during that moon phase or in some astrological terms, how people were affected by the moon at that time. For example tomorrow’s moon was called the Full Snow Moon because the snow fell the heaviest in February. Hunting was also difficult in some parts of the world hence the Native American name – the “hunger moon”. While the Sun is often worshiped , the full moon has always been dark and mysterious. It is often blamed for natural disasters, dark arts and bad luck. These days, the full moon is in particular is looked at as an energy source from the universe to manifest our desires and release of negativity. Its almost like a two way beam of pure power than builds up as it reaches earth. I am actually smiling as I write this as I realised I mentioned the “hunger moon” and I have been on a sort of a diet to change my eating patterns which has essentially left me hungry! I just thought I would add that it as it was funny, for me at least. If you have a moment tonight before you go to sleep, try to sage the house or if you don’t have sage, light some incense and take it around the house, with a plate or something to catch the ashes to cleanse the house. I always do a little clean around the house and sage, the day before the full moon. You can read my FREE guide on how to write your wishlist and energising your crystals here. Please do share this email or the link above with friends and family. The more people start doing these sort of simple and easy rituals, the better. I have personally seen so many wonderful things happen for myself and others so I am passionate about getting the word out. There are social media share buttons below this email. Some people have been saying how they have been crying, feeling really low, doubting themselves and even feeling a little run down. The energy of this moon smacks us in the face before it lifts us up higher so put your faith in the universe that things will work out. Crying is a great release so just let it out and cleanse energy. Sometimes our energy blocks is about not showing or releasing that emotion. Crying gets that block out and brings more clarity to us afterwards. If you have been trying to get something started but feeling less confident as time goes by, this is the time to be a little reckless and just do it. You need to stand in your own power right now and the universe is pushing you to make that decision. Join Angela Mitchell, Spiritual Medium, Healer and Teacher on this beautiful day retreat to reconnect with your inner Goddess to manifest your heart’s desires. Remove the blocks and the negativity that stops you from living a happy, peaceful and positive life. Start attracting positive people and opportunities. You will experience healing, meditation and interactive exercises including vision boarding. Learn about cosmic ordering and moon rituals to manifest and lots more. Meet and bond with like-minded women, enjoy beautiful moments in meditation, fun exercises with lots of laughter and even tears! Who is this for? Women who need to empowered, want to reconnect with their innerself, going through a difficult time and can’t find any positivity in their lives. Anyone who is feeling run down, no energy, feel lost, need guidance and feel a confidence boost.This workshop is not to be missed. Places are limited so book your place by putting a deposit of £15 now to secure your place. Cost includes teas, coffees, a light lunch, snacks as well as all the materials and equipment. The remainder £35 is payable cash on the day. Email; info@angela-mitchell.co.uk to book. Discounts available for group bookings. The final super moon of 2015 is heading our way tomorrow. The energies from the last two supermoons in August and September has been intense and some of us have been put through the mill but some of us have showed ‘em who is boss and stepped into your true potential. Take a step back now and think about what has been happening since August. How did you deal with a difficult time? Did you hear news that broke your heart and your world? The question is…..not what but “how” did you deal with it? Did you let self-pity and remorse swallow you or did you take action? In every negative action or situation, there is a double positive waiting to happen. Learning lessons await in every situation. Unfortunately most of us close our hearts the moment something bad happens. Bad can mean different things to different people. It could be not being able to get a ticket to a concert, failing an exam, finding out you have a medical condition, a cancelled holiday, breaking up with your partner to something so devastating as losing a loved one. If I look back on my life, I can now see that while my last big breakup was devastating, I now see that it spurred me to make a life changing decision to move to the UK. I would never had done that if I had just let that relationship define me. I kept getting signs – synchronicity was happening all the time and dreams were vivid at that time. I remember waking up one day and the thought of moving came into my mind. With heart break and fear, clouding my mind, I initially dismissed it. But then the more I thought about it, my heart opened up and I started to picture myself in London. Obviously I was thinking of the likes of Notting Hill and Kensington, not the reality of Tooting Broadway! But the more my heart was open, I was able to really connect to the vision. I listened to my intuition and took action even though I had barely any money to my name or knew anyone in London. I am truly grateful as I met my husband at the end of my first year and married him two years ago! I would never have met him if I stayed where I was. How about someone who just heard they have cancer and have six months to live? There is no right or wrong way to deal with that sort of news. Some of us may be strong enough to contemplate spending the first few months running a campaign to raise funds for cancer research for example. Some of us may change the lives of people around us for the better through finances or by being an inspiration. There could a child in the family who would go on to study medicine to help find a cure for cancer. The possibilities are endless! There is possibility in imPOSSIBLE. So reflect on all that has happened in the last few months and how you have dealt with it. Write it down on paper or electronically – whatever is easier for you! You need three columns – one for when, what and how. When it happened, what happened and how you dealt with it. You can add a fourth column – outcome. Someone came to see me a few months ago and the reading was all about her taking charge of her life, acknowledging what was happening and making things happen. I saw her twice and the message didn’t changed, except for some more additional information. There was only so much a reading can do…nothing will change unless you do! Since then I have seen how she has taken something that has made her so unhappy and turned it into an inspiration to help other people. I can see how much confidence and self-worth she has gained in such a short time. She has also found her voice! I can see from the side lines how she dealt with the issue and the outcome. It’s a big deal so don’t dismiss it. Putting it on paper or where you can go back now and then to update and reflect on what has happened and how far you have come. It also allows us to evaluate where we are now and put everything into perspective. So now as we prepare for the last Supermoon of 2015 – put everything you want and solutions to your struggles on your list. Don’t let anything – emotions or situations push you into negativity! Try to be positive and keep a clear mind. Please be grateful for everything you have and thank the universe for the help that has come your way so far. Put your wishes on a list, burn them tomorrow night before you go to bed and don’t forget to put your crystals out. You can read more about how to prepare for the supermoon here – Guide to writing your Intention/wishlist, crystals and smudging your house. Quote WEB2016 to get a FREE crystal when you book through the booking page.